The polish was a custom that Anonymous Lacquer made for blogger Inky Whiskers in April of 2015. It became available for purchase in May of 2016, and I was happy to finally have an opportunity to buy it, and so glad that I did. 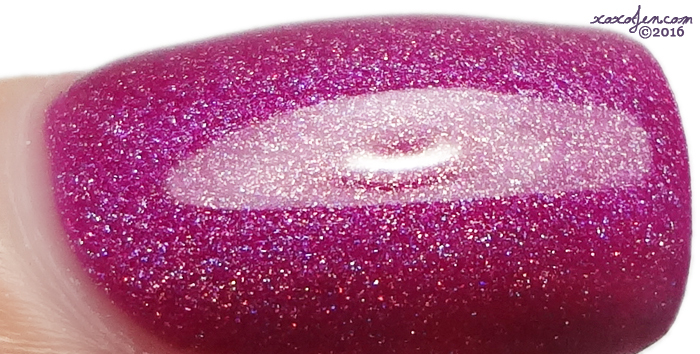 Impossible Dream from Anonymous Lacquer is a very pretty raspberry holo. I wore two coats with topcoat. I hope you've enjoyed the review and photos and would love to know what you think!